Living on Long Island my whole life, I’ve always loved the change of seasons and variety of things to do and see. On one side, we have the natural beauty of the east end (beautiful beaches, amazing wineries, agriculture and more). And on the other side, one of the most exciting and advanced cities in the world – with plenty to enjoy in between! Now that we’re in the middle of winter, it’s a time of year when we start to miss the warm summer weekends and all the outdoor livelihood that Long Island has to offer. But of all the beautiful and fun places on Long Island, the one I miss most… is my own backyard. We spend so much time in our yard - it’s the place we make the most memories. That’s why I love to design and create outdoor spaces for others too. Plant an herb or vegetable garden. Grill smores (if you don’t have a fire-pit, use the barbecue). Make wishes on stars. Save your wishes in a bucket. Play hop-scotch, jump rope and have a water-balloon fight. 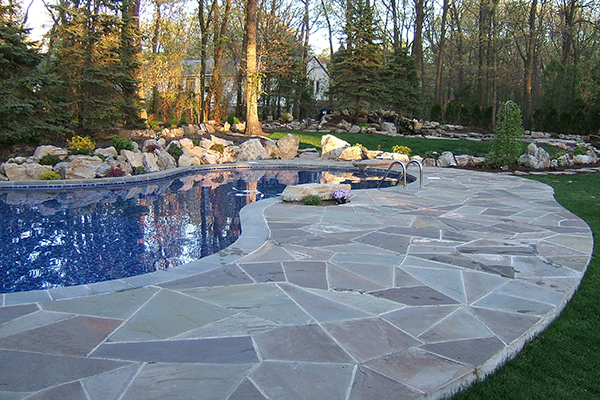 Contact us to learn more about how Flawless Paving & Masonry can help you get started on a more functional and beautiful outdoor living space! We service all of Long Island and beyond (Nassau County, Suffolk County & Queens, NY).